The strain gauge, also known as the strain gage, is best known as the sensory aspect of a load cell. Load cells measure the compression, tension, and/or shear force of various materials, including solid objects, liquid, and gas. The strain gauges are the essential part of the load cell since they are the component that detects the inconsistencies in a substance and turn that into an electrical signal that is translated through a computer as a readable measurement. When part of a load cell, there are multiple strain gauges being used, connected by circuits that pass along the electric signal. Multiple strain gauges are used in the construction of load cells to help enhance the precision of the load cell’s measurements. 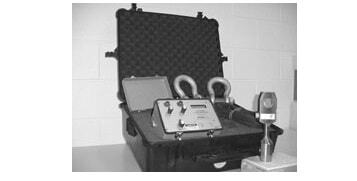 The more strain gauges present in a load cell, the more precise the load cell measurement. Strain gauges are also often a part of force transducer systems, which serve just about the same purpose as load cells. These sensors can be substituted with piezoelectric crystals. However, the variety of strain gauge styles allows for consumers to pick the one that will best suit the substance they need to measure. The most common types of strain gauges are piezoresistive or semiconductor, bonded metallic wire, carbon-resistive, and foil gauges. In particular, the foil gauge looks like a flathead version of a spatula, without the arm or body. It is a flat surface, which can be adhered to the body of the material it is measuring. The electrical resistance in each type of strain gauge varies linearly with strain. The operating temperature, the state of strain, and the amount of stability needed are important factors when choosing a strain gauge. The gage factor, gauge length, nominal resistance, and strain sensitive material must also be considered. Typical characteristics of strain gauges are lead wire, solder tabs, ribbon leads, cryogenic use, encapsulated, embeddable, waterproof, and weldable. Strain gauges can be used for measuring temperatures, detecting cracks, propagating cracks, extensometer, residual stress, transducer gauge and shear modulus gauge, among other applications. They are often utilized in a variety of industries, including construction, aerospace, marine biology, automotive manufacturing, industrial manufacturing, tooling and machining, the medical field, and electronics. Strain Gauges A strain gauge is a device used to determine the amount of strain, or change in dimensions, when stress is applied. Strain gauges measure mechanical quantities by converting tension, force, and pressure into an electrical signal.